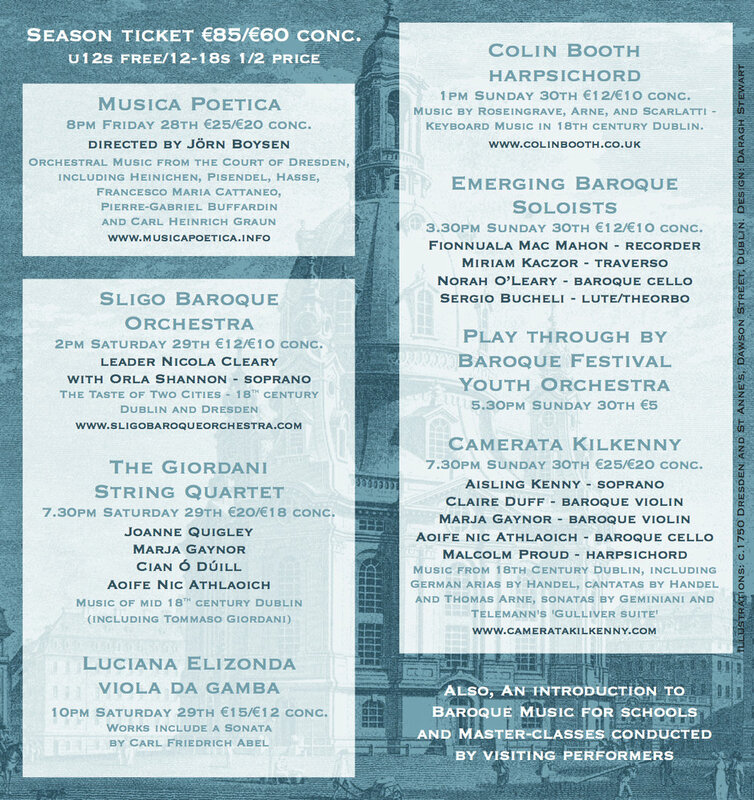 The 24th Sligo Festival of Baroque Music will run from 27th-29th September 2019. The ensemble in residence will be Collegium Marianum of Prague whose members delighted festival audiences in 2015. The programme will include music by Bach and music of the Bohemian baroque.